Low-income weatherization programs face challenges when homes are in disrepair and unsuitable for upgrades. Weatherization just doesn’t make sense when the roof has holes! In fact, community action agencies that deliver low-income weatherization services in rural areas find that half of eligible applicants live in substandard housing. The Community Action Center of Whitman County (one of more than a dozen low-income service providers that belong to the NW Energy Coalition) and other members of the Washington State Community Action Partnership(WSCAP) plan to seek rural home-repair funding from the Washington state legislature next session. To fill the home repair funding gap and help make rural residents in HUD non-entitlement areas eligible for weatherization, WSCAP will advocate for a sustainable statewide revolving loan program so local rural agencies can make loans to residents and do repair work. This is necessary because Weatherization & Healthy Homes, Energy Matchmakers, Housing Trust Fund and other existing funding sources generally do not cover these often costly critical repairs. The proposed program would allow homeowners to defer loan payments until the residence is transferred or sold. The modest interest charge is designed to put funds back into the revolving loan fund and sustain program administration. WSCAP will seek $10 million per year for 10 years to seed the loan program, with loan repayment dollars coming back into the program after 10 years. 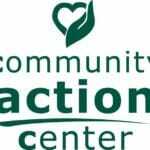 Community Action Center of Whitman County distributes Section 8 housing choice vouchers, runs its own affordable housing projects and properties, and provides food assistance through its food bank and food bank gardens. To learn more about any of these programs or about advocating for the revolving loan fund, contact Jeff Guyett at JeffG@cacwhitman.com.